Synopsis: Simmi Shergill's life is a mess. Her powers of psychic feeling are on the fritz, and Grandon Township's sudden population boom has brought quite a few unsavory characters to town. She also looks like an over-blown balloon in her size 14 pants, but not even starving herself seems to be helping. 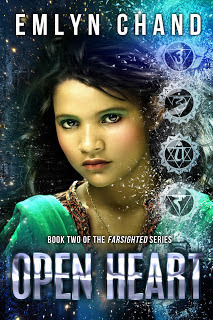 Thoughts: Open Heart starts us right where we left off in Farsighted except now we're looking through Simmi's eyes. This book definitely amps up the personal emotions and deals with topics many people struggle with. 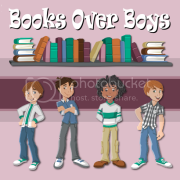 It's a page turner with lots of deep internal struggles. Plus, the cover is gorgeous. I really ached for Alex in this one. I loved him and how he overcame his blindness in book one. Through out Open Heart I just felt as if Alex kept getting one disappointment after another. Yet he has such a good heart and is loyal, I really like him as a character. Then there's Simmi, another character who I really enjoyed in Farsighted but in Open Heart I'm going to be honest I started to not like her. I totally felt for her while she dealt with personal problems because I've been there and felt that way, but towards the end the way she handled certain things I was really disappointed in her. I just wish she would have made some different decisions. However, I must say Shapri really grows on me the more we see her. In book one I liked her, but in Open Heart I love her. I feel like she's finally becoming comfortable with her powers and she's so easy going. Yet at the same time she's bubbly and her heart and head are always in the right place. With that, another character I liked was Dax. I was definitely nervous of the role he'd play but he definitely grew on me. I love his dark hair, pale skin, and green eyes and I also liked how he handled things with Simmi. He admitted his mistakes and handled the relation the correct way and I commend him for that. Overall Farsighted was definitely enjoyable. We get school drama, personal problems, romance, heartache and all while still in the world of psychics. I give Emlyn props for writing some hard emotional scenes where Simmi's eating disorder is concerned and thought those were done really well. There were still a few things though I wish we're handled differently, but over all I liked Farsighted and would definitely still read the next book. I missed Alex too, and felt for but didn't like Simmi's actions.